For MyKitap founder Sandeep Ahirwar, entrepreneurship is all about getting out of comfort zone in search of freedom. "I love the idea of doing whatever I want, when I want and how I want to do it. ", he says. 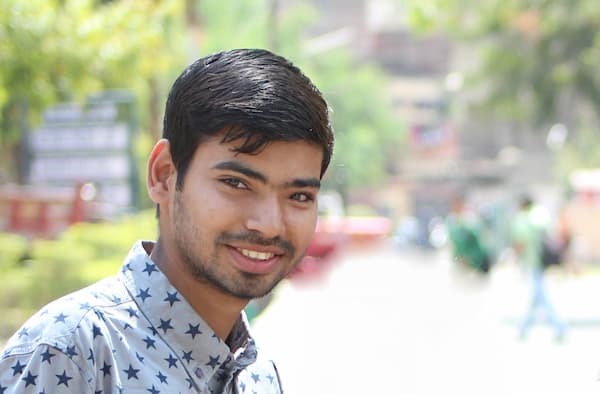 In his own words, Sandeep was raised as a privileged kid who had the freedom to choose whatever he wanted; and entrepreneurship was a natural choice for him. Sandeep co-founded MyKitap - a book buying and selling platform currently targeting Indore and looking to expand to other cities in MP. Read and share this inspiring story of a founder who turned his dreams into reality. CE: Tell us about your growing up years and family background. What city were you born and brought up in? Sandeep Ahirwar: I was born and raised in a small but remarkable city, Guna, on the banks of river Parvati. I did all my schooling there. I was an average student although science was very exciting for me. With a dad who is a government employee and mom, a housewife, you can call me a privileged kid who had freedom to do what he wanted. I always enjoyed figuring out how things work. My love for computers and technology naturally took me to pursuing Computer Engineering from SGSITS, Indore. I was always fascinated by business tycoons. Reading their success stories, daydreaming, watching TVF pitchers became my favourite time pass. Entrepreneurial mindset took over most of my conscious mind. I always look around for problems that I can solve and starting up. CE: Who are other people behind MyKitap? Tell us more about them. What were your baby steps into the startup world as a team? 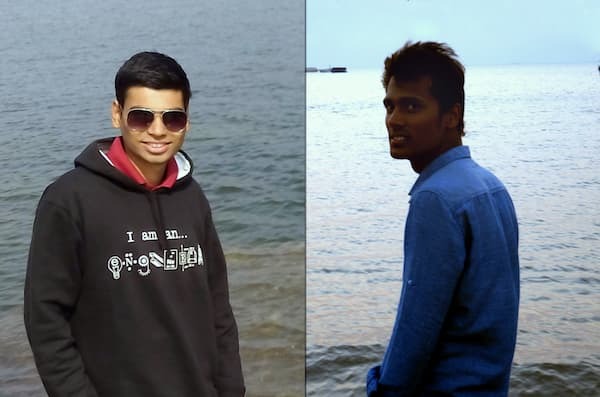 Sandeep Ahirwar: We are two Co-founders at Mykitap namely, Mayank and me. We have been friends since school days. He belongs to a business family but still works on his passion of starting something from the ground-up. It’s just matter of luck that you find someone like Mayank sharing the boat with you. Much of my zeal to create something from scratch and scale it upto new heights came after meeting him. Mykitap just happened to be a natural next step for us. We are also blessed to have bro-friends who have stood by us and helped us get here thus far. CE: When did you first think about the idea behind this startup? What made you pursue this idea ? Sandeep Ahirwar: During our exam days, we and our friends used to struggle in finding books. We used to visit the local Khajuri Market which involves availability issues, over pricing by sellers, bargaining and lot of hassles. One day, we were sitting around at our favourite haunt and thinking of things to do & the idea of providing a platform for selling and purchasing of books came to our mind. From there, we went into a crazy brain storming session on the name "Mykitap" and launched it in November ’14 (second year of our engineering). CE: How has MyKitap been useful to its users in Indore? How does it work? Sandeep Ahirwar: The purpose and goal behind Mykitap is to provide a hassle-free platform for INDORIans where they can sell their old books. At the same time, we provide new books and quality used books at competitive prices. CE: What was the major turning point in the journey of this startup? Who was your first big client and how was the experience of dealing with them? CE: How are the responses you are getting from your customers? What makes MyKitap unique? Sandeep Ahirwar: We are getting very positive responses from our customers and people who hear about us. We take customer satisfaction very seriously because this industry works primarily on referrals and word of mouth. We have invested a lot of effort into building the best possible flow for our customer. And besides all these, we also take every review seriously and if we find that any customer had a negative experience, we take a lot of effort to make sure that we rectify the problem and satisfy the customer again. Moreover, we plan our operations in such a way that minimises the logistic and transportation costs and thus we provide best prices to our customers. CE: How big is the MyKitap team at the moment? Sandeep Ahirwar: Mykitap is a small team at the moment but things are looking great and we are in the process of hiring, growing the team and scaling. CE: What are your plan of expansion? Are you planning to expand in other cities apart from Indore? on Android app and are in process of setting up operations to expand in Bhopal, Kota and several major education hub. CE: What do you love the most about being an entrepreneur? Sandeep Ahirwar: I love the idea of doing whatever I want, when I want and how I want to do it. You literally become the master of your own destiny. What could be more exciting than that! Sandeep Ahirwar: Plan for the future, but live in the present. While planning for the future is important, don’t sacrifice all of the present. Whatever you do make sure you have fun. NOTE : Founders Circuit (The Venture Capture Series) is our ambitious initiative at CrazyEngineers to discover new startups and ventures from all over the world and showcase them in front of millions of fellow crazy engineers based in over 180 countries.